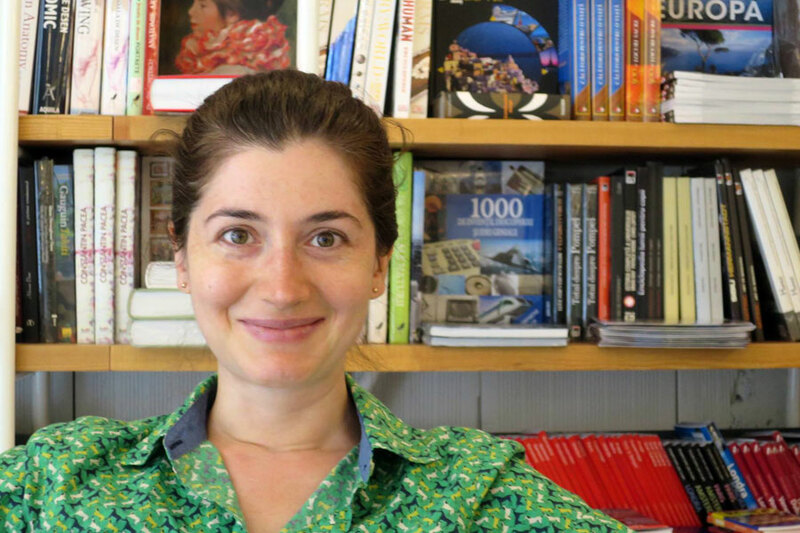 Professor Emanuela Grama is an Assistant Professor of History at Carnegie Mellon University and has been a department member since 2013. She received her Ph.D from the University of Michigan in 2010. She is currently doing the final revisions on her book manuscript, "Socialist Heritage: History, Place and Belonging in 20th century Romania," which analyzes how different political regimes rely upon material practices to forge political communities. “I love to read poetry. I started reading poetry in graduate school because it was very condensed, so I could read just one poem, and not a novel, but still be able to access the imaginary worlds sparked by it. Poetry is such a different genre It also gives the reader space and freedom; it unleashes your imagination in a radical way. I like lots of poems and poets, some very different from one another. I like how each has a different voice that speaks to me. One of my favorite poets, C.K. Williams, wrote poetry that was very politically engaged, but later in his life, he came to write about what I’d call spectral politics—the ways in which class, status, and race continue to bear such an impact on moments of flimsy social interaction. He has a poem, “Gravel”, that I love, in which he writes about how his wife was almost attacked on the street, and the contradictory emotions that incident triggered in him. He was also famous for very long lines. That’s something that he started doing at a moment when condensation and sparse lines—the whole modernist tendency—were something many poets were striving to achieve. But he went totally against the current and said ‘I really, really want to do it my own way.’ And I admire that about him. Another favorite poet is Jane Hershifield, whom I discovered maybe ten years ago. She’s very much a zen poet. She truly is a poet of everyday life, but brings everydayness to a totally different level; she really makes you pay attention. The way she sees reality around her and the way she depicts it is just fascinating. Once I found her poetry, I started reading her books as well. She has published two books about poetry—about how to read poetry and about what poetry is. So she not only has her poems, she has her interpretations of others’ poems. Her book Nine Gates welcomes readers into classic poetry through her eyes.